When it comes to security, locks and doors are not the only aspect or accessories that are essential. One of the most common and essential element in every security system involves knowing what is going on at the place to be secured at all times- and that is exactly what a Closed-Circuit television or CCTV helps us to achieve. Closed-circuit television involves the use of video cameras for the transmission of a signal to a specific place on a limited number of monitors, while the same is also being recorded. There may be different kind of links which may be used for signal transmission0 including point to point or P2P, mesh wireless and point to multipoint. While almost all kinds of cameras fit this description, it is most commonly used for surveillance in areas where constant monitoring would be required, such as airports, banks, casinos and convenience stores. This is the capability of analyzing a video for detection and determination of temporal events, which is not based on a single image. It can also be considered as the automated equivalent of our biological visual cortex. Such a system can detect changes in the surrounding environment, identify as well as compare objects in its database on the basis of size, speed and even color. The actions of the camera can be programmed with regards to what it is ‘seeing’. For instance, alarms can be raised if some object has moved into some specific area, if a painting is missing from the wall and even if smoke or fire is detected. Issues like video loss, tampering with the lens and so on can also be detected and conveyed via them. As the name suggests, this is a computer application capable of automatically verifying or identifying a person from a digital image, the source of which can be a video source or frame. The combination of this along with Closed-Circuit Television has been in development as a mass- surveillance system, however, it has been limited due to the low discriminating power of the technology. Computerized monitoring of the same is also under development, so that a human operator need not be present at all times. Internet-protocol cameras are a growing branch in this technology. These use IP, which is mostly used by the LANs for transmission of video across various networks in a digital format. This can be transmitted through public internet too, which would allow the users to view their video-feed through any available internet connection to any PC and even a mobile phone. A good example of this kind of camera-network can be found in Chicago, where the whole city operates on a networked- video surveillance infrastructure. This combines feeds from the government agencies along with that in the private sector, and also in city buses, public school etc. Home owners can contribute to the footage too- and estimates put in the number of contributing cameras at 15,000 cameras. Similarly, London also has a network which uses the Television Network Protocol for accessing maximum possible cameras that the owners of all individual systems can afford to maintain and run. Closed-circuit television began when Siemens AG installed the first of this kind at Test Stand VII, in Germany, in order to observe the V2-rockets’ launch. The earliest of the surveillance systems required constant monitoring since recording and storing the information was not possible back then. Such systems were introduced much later, and they required the magnetic tapes to be changed manually. This was a major setback due to which, this kind of surveillance was pretty rare. It was only in the late 1970s, when VCR technology introduced and gained importance was that recording of the same became easier and video surveillance started to become common. 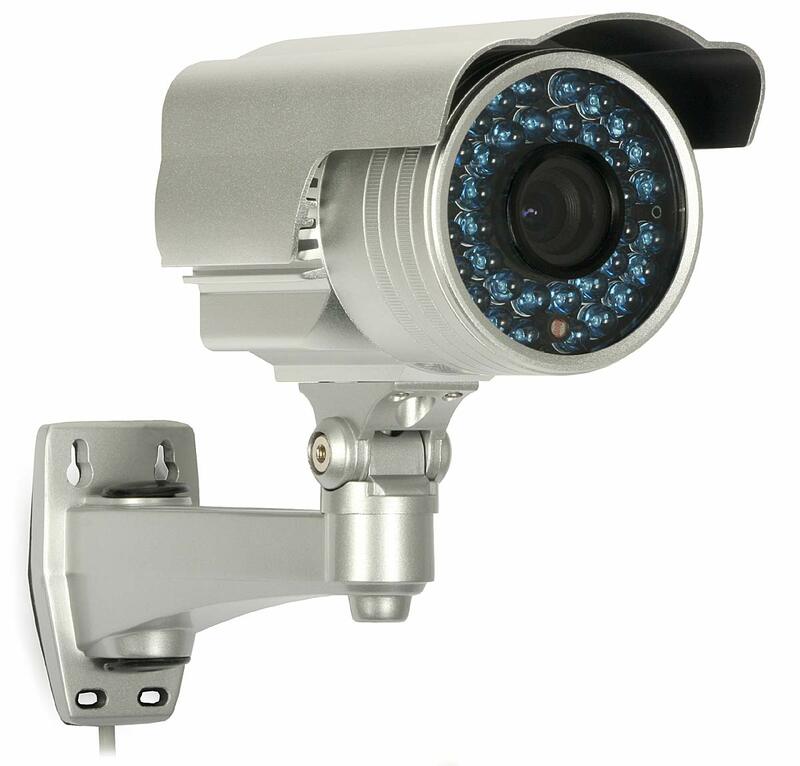 CCTVs are one of the best suited mechanisms for preventing crime, in almost all kinds of areas. 44 different studies collectively concluded that these systems were the most effective in parking lots, reporting a 51% decrease in crime in the area. Additionally, there was a 23% decrease in the crime rate in public transportation areas. Strong surveillance systems also aid in detection as well as the conviction of offenders, since the police of almost all major nations use the recorded videos as evidence of crimes and incidents. Ever since the 1970s, large scale surveillance systems have been crucial in helping prevent and decrease terrorism, and have been an integral part of all anti-terrorism mechanisms. They are used for tracing the movements of victims and suspects, and are considered as the fundamental tool for tracking suspected terrorists. Mobile police vehicles for surveillance have also been installed with cameras that are equipped with automatic number plate recognition. These are installed where a machine’s operator is unable to directly observe the people, who may be injured by some unexpected operation of the machine. For instance, they are frequently used in subway trains to confirm and make sure that people are clear of the doors before closing them and starting the train. Similarly, the ride-controllers in amusement parks also use them for ensuring that all of the people are in the rides before they are started. Retail environments make use of CCTVs in a variety of aspects and operations. These include monitoring the workers and the environment, to ensure that every action and information is recorded and subtitled. This not only helps track the actions of workers, but also helps keep track of all critical transactions, especially financial. Other actions which can and need to be monitored include the scanning and selection of goods, input as well as output of the operators, especially when passwords are being entered, change of official functions and so on. Since each operation is transmitted along with a description, adding surveillance along with it creates a detailed monitoring system of the same, ensuring that each and every action is documented. With upcoming advancements and a continuous research in the field, CCTVs are sure to prove a boon for us and provide a comprehensive surveillance and security model for every kind of establishment, town and nation.